As the only dedicated liberal arts institution in the University of North Carolina system, UNC Asheville kindles learning by offering students an intellectually rigorous education that builds critical thinking and workforce skills to last a lifetime. Small class size, award-winning faculty and a nationally acclaimed undergraduate research program foster innovation as well as recognition. Amid the culturally rich setting of Asheville, North Carolina, in the Blue Ridge Mountains, it’s all designed to spark a lifelong quest to know more — a fire that will grow brighter in the future. If you need transportation around town, we have Slidr, Lyft, and Uber. Pick up I-240 towards Asheville. Take I-240 to Merrimon Ave (US-25). Turn left at 3rd light (W.T. Weaver Blvd) and proceed to traffic circle and UNC Asheville entrance. Go up hill and at top of hill, make a right on to University Heights. Take University Heights to first left and proceed to bottom of hill. At bottom of hill, make a right on Campus Drive. 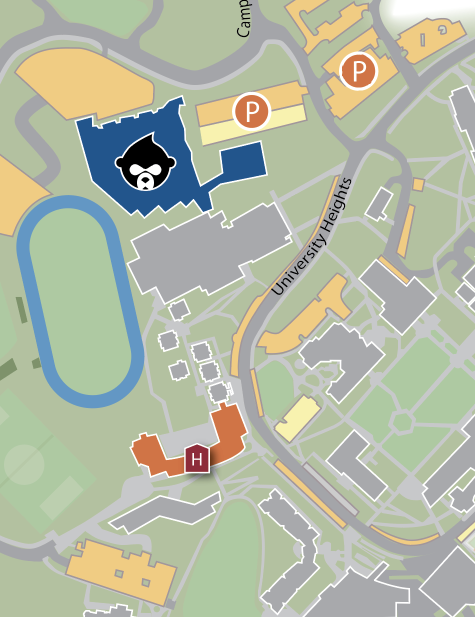 The Sherrill Center & Kimmel Arena are located in the back of the parking deck on the left. Take I-240 towards Asheville as you cross the river, move into left lane. Take US I-26 North proceed one mile to UNC Asheville exit. Turn right at the bottom of the exit ramp and proceed to the first traffic light. Take a left on to Campus Drive. You will go up a hill and the Sherrill Center & Kimmel Arena will be on your right.